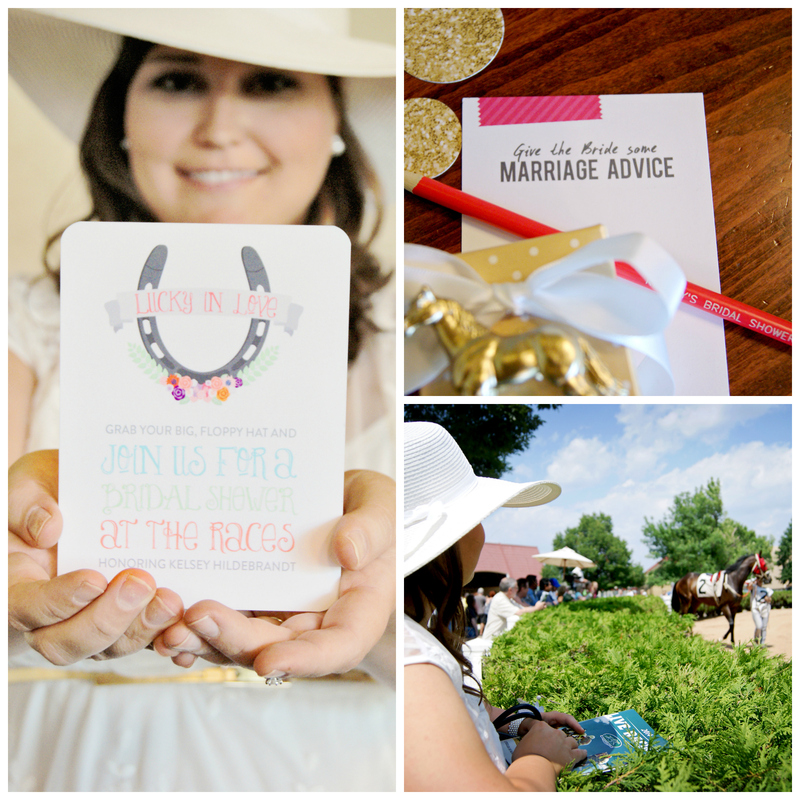 These inspirational bridal shower ideas will help you plan the perfect shower for bride-to-be with bridal shower invitations, decorations, food and more! 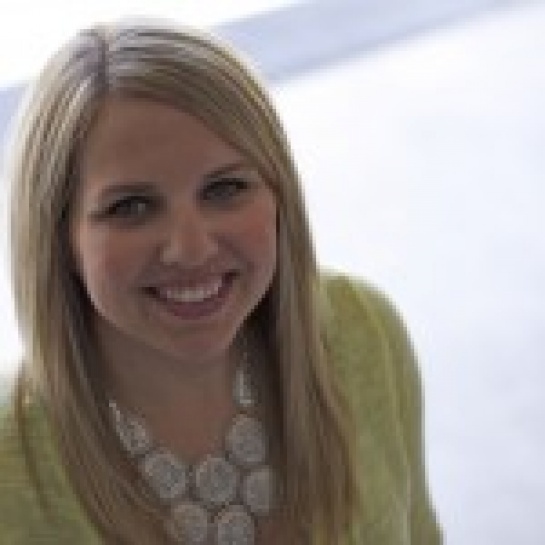 I had asked my sister-in-law if we could throw her and her future husband a couples’ wedding shower. 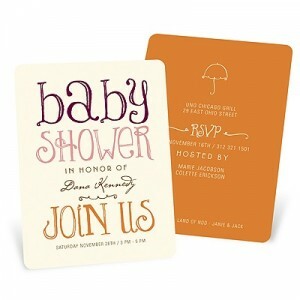 Sometimes it can be difficult to come up with couples’ shower ideas, especially a theme. I wanted to try and find a happy medium where the future bride and groom didn’t feel like the party theme was geared more towards one than the other. 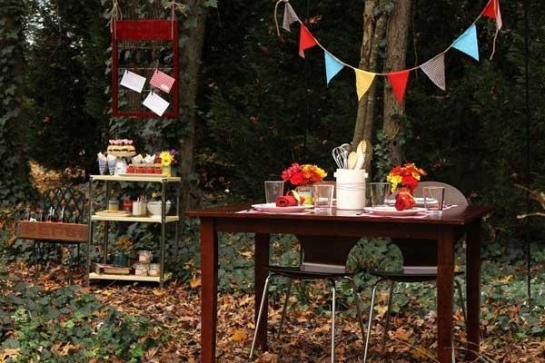 After talking with her about it, she thought a BBQ theme would be perfect and I couldn’t have agreed more! 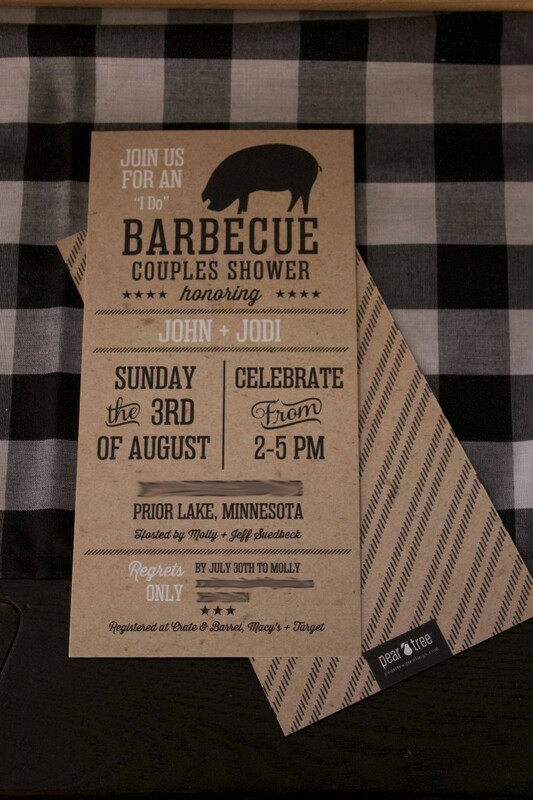 I used Pear Tree Greetings’ I Do BBQ Bridal Shower Invitations to set the theme. 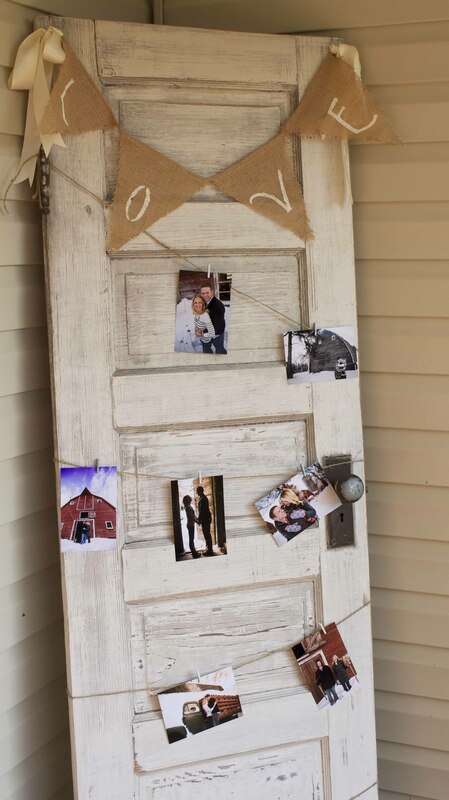 As guests walked into the front entrance, they were greeted by pictures of the happy couple, strung with twine, across an old six panel door. 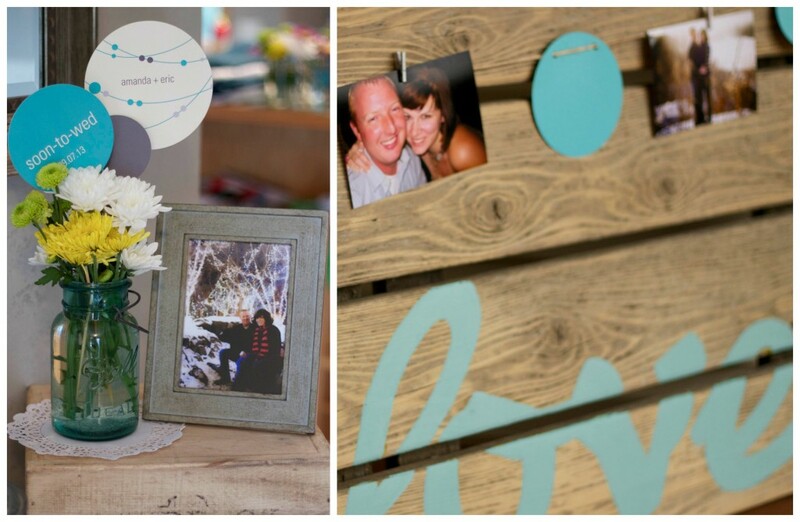 This is a great way to incorporate the couple’s engagement photos that are rarely seen by friends and family. 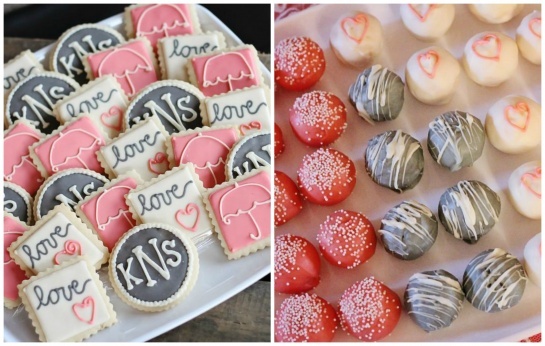 One of our favorite bridal shower ideas is the recipe theme, where guests bring their favorite recipes, along with gifts for the kitchen, to help out the new cooks. 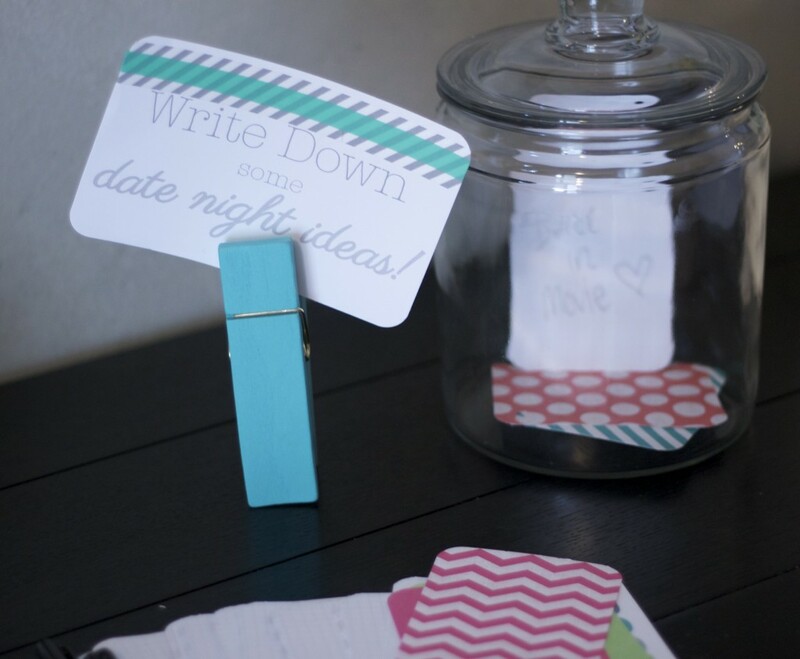 The handwritten recipes give the shower a personal touch and are a lasting gift the couple will treasure. Celebrations.com planned a recipe shower using our Ingredients for Love recipe bridal shower invitations as inspiration. 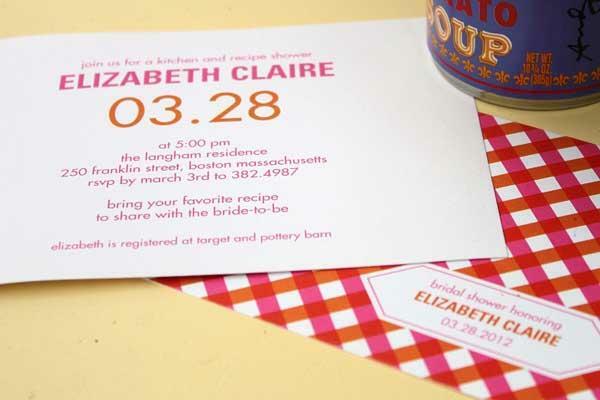 The simple one-sided invitation comes with a matching recipe card that has a place for your recipe on one side and a cute gingham pattern on the back, where you can also put the bride’s name and shower date as a memento. 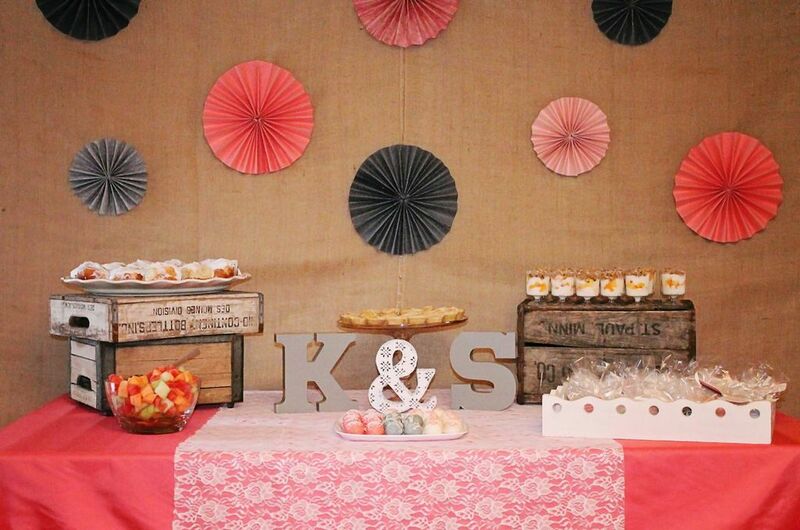 The gingham pattern led to a retro theme that tied all of their bridal shower ideas together. 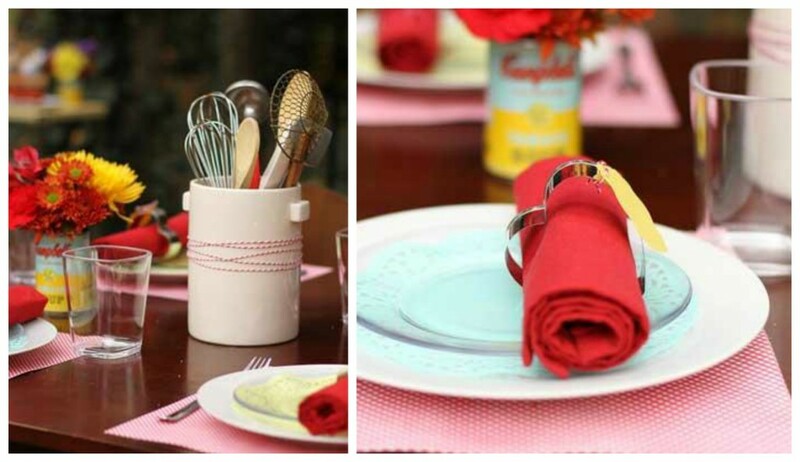 Colorful flowers in classic aluminum cans set the tone for the retro table décor, along with canisters of kitchen utensils—a budget friendly idea you can create from your own supply! 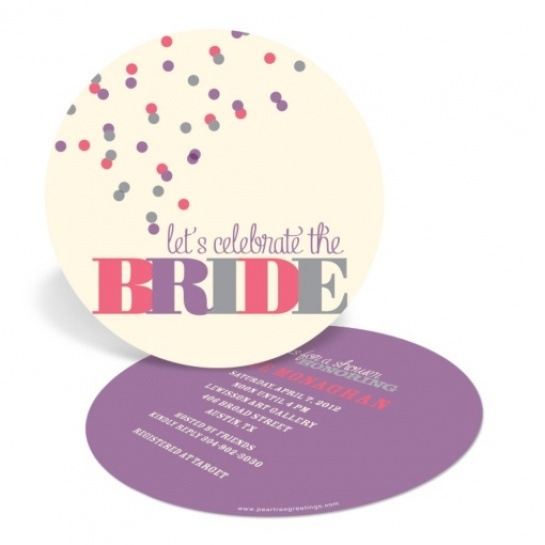 (Alternatively, you can purchase them, and give them to the bride as a gift when the party’s over.) The classic grilled cheese and tomato soup lunch fare took on a chic party feel when they cut them into mini bites. They kept the mini-food theme going with sliders and mini desserts, too. 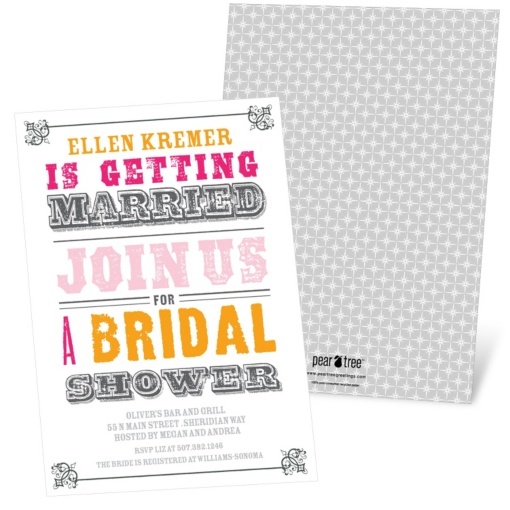 Planning a bridal shower just got a lot easier with the introduction of our newest collection of bridal shower invitations. 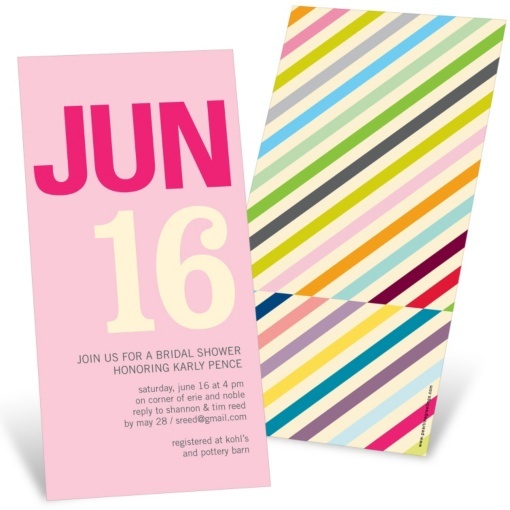 The new invites showcase some of the most current trends in bridal shower themes, from bold colors to innovative type treatments and party décor. 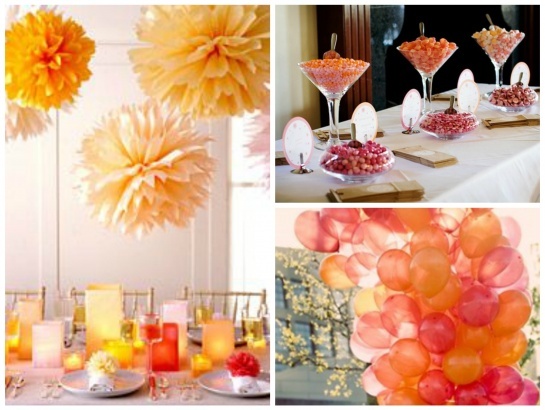 Be sure to check out the matching bridal shower decorations, which will make it easy to carry these bridal shower themes through every step of the party planning, from the bridal shower invitations to the bridal shower decorations to the bridal shower thank you cards. 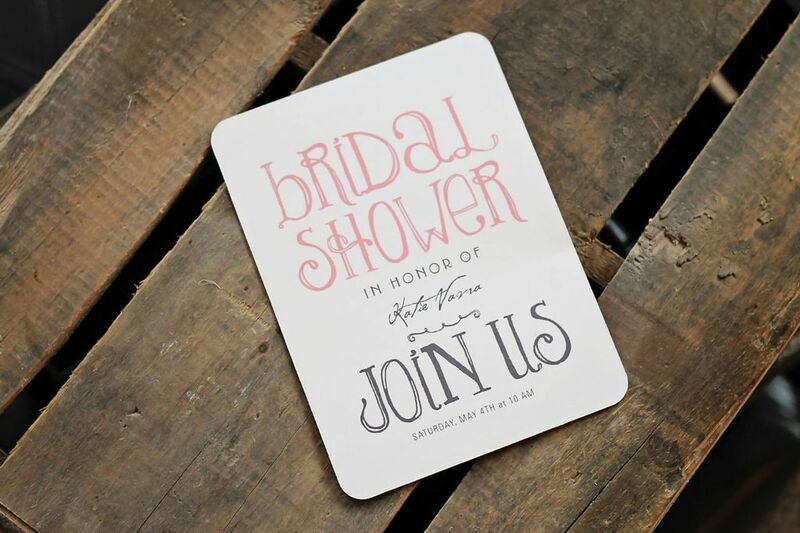 Our new invitations fall into three key trends in bridal shower themes. 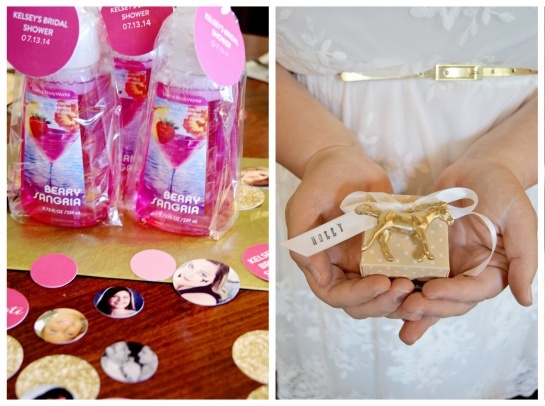 When it came time to planning bridal shower ideas for my future sister-in-law, Katie, it seemed natural to incorporate her wedding theme into the shower. And so, the planning for a ‘rustic elegance’ bridal shower was born. 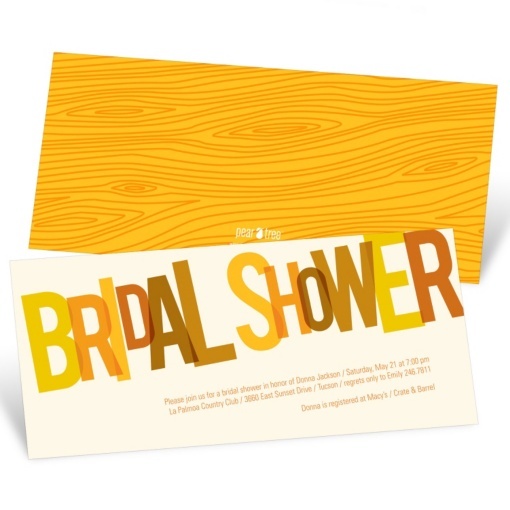 For the invite, I chose Pear Tree’s Showers Ahead Bridal Shower Invitations. 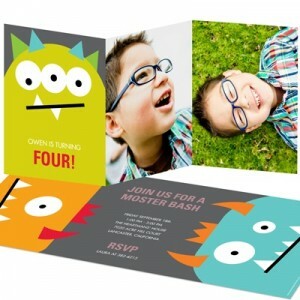 I loved everything about it, and it was an added bonus that it was a ‘You-Pick-Color’ invite that allowed me to incorporate the wedding colors of coral and gray into the invitation. 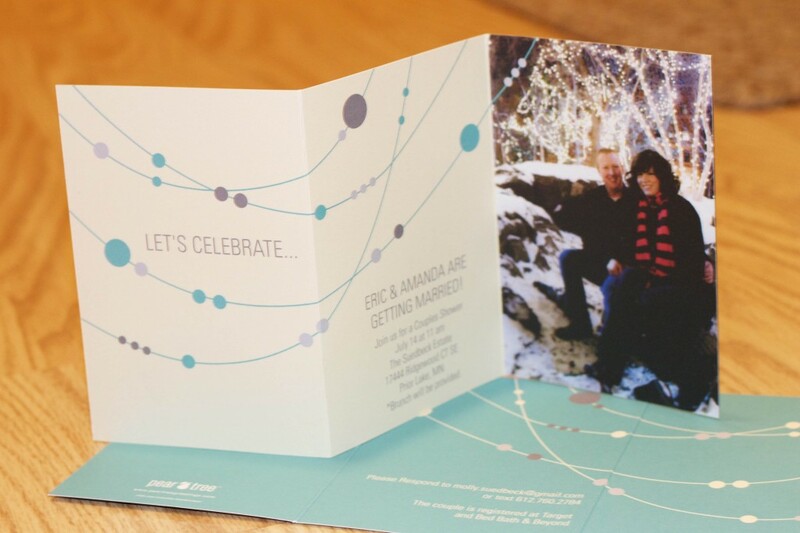 I dressed up the invite by mailing it in a gray envelope which gave it a little ‘pop’ in the mail. The tri-colored return address label also doubled as a seal for the envelope. 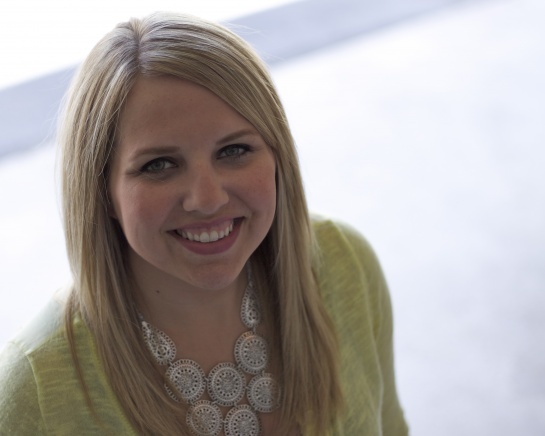 When it came to décor, I determined that having one main focal point would maximize the visual impact. 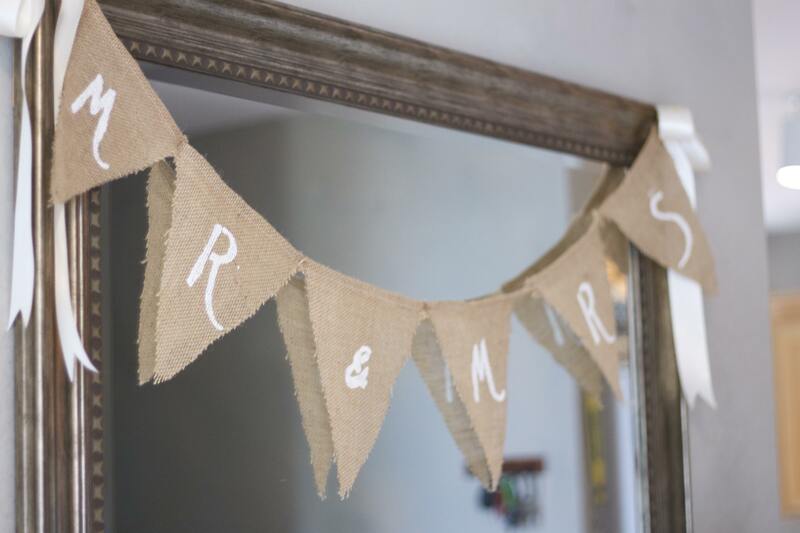 I pushed my dining room table up against one wall, which allowed me to create a backdrop out of burlap, purchased by the yard from Hobby Lobby. (Tip, most fabric stores have coupons that allow you to save up to 50% off of one single piece of fabric.) I purchased one larger piece of burlap and cut into two sheets to create the effect I was going for. To get the burlap to hang like I wanted, I hot glued a hem at the top of the two panels of burlap. I then strung them up with jute and secured them to the wall using 3M strips.